Since its inception over a decade ago, the Institute for Micromanufacturing (IfM) has been at the forefront of integrated multidisciplinary research and education. Starting from its original micromanufacturing emphasis, the Institute’s research and educational efforts have grown and expanded significantly to its current five thrust areas of emphasis, identified as Nanotechnology, Biotechnology, Biomedical Nanotechnology, Environmental Technology, and Information Technology. The activities carried out through these thrust areas, coupled with the Institute’s integrated nanomanufacturing and micromanufacturing resources, have led to the realization of a broad range of research, educational and commercialization efforts. The Institute, through its leading-edge resources and modern facilities, has been providing a broad range of technical training, processing, and measurement services to external users, including industrial, governmental, and commercial customers. 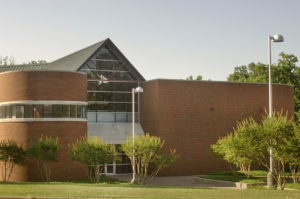 The Institute consists of an interdisciplinary team of faculty and staff, and 65,000 sq. ft. of user facilities, headquartered in a modern 41,000 sq. ft. building, designed specifically for research and development of micro/nanoscale technologies and systems. The R & D complex includes laboratory facilities with a full suite of micro- and nanomanufacturing capabilities, and a comprehensive set of measurement and characterization tools, as well as modeling and simulation software. Ph.D. positions are open immediately in Advanced Hierarchical Materials by Design Lab at Louisiana Tech University on multiscale modeling of materials under extreme conditions. The Ph.D. positions are for a collaboration with MIT, Georgia Tech, and Idaho National Lab that is supported by the United States Department of Energy. The candidates must have earned a degree in Mechanical Engineering or a related field (applicants with a Master of Science will be given priority) and have a solid background in theoretical and computational mechanics. Having knowledge of continuum mechanics, finite element modeling, and a programming language (preferably C++) is a plus. The applicants should email the following materials to Dr. Kasra Momeni, put Ph.D. Applicant in the subject of the email and include the following. From Shreveport to Ruston: Take I-20 East for approximately 75 miles (1.5 hours driving time). From I-20 take Exit 84. Turn South onto Tech Drive. Go 1 mile, the Institute for Micromanufacturing is on your left at 911 Hergot Avenue. From Monroe to Ruston: Take I-20 West for approximately 40 miles (1 hour driving time). From I-20 take Exit 84. Turn South onto Tech Drive. Go 1 mile, the Institute for Micromanufacturing is on your left at 911 Hergot Avenue. From Alexandria to Ruston: Take U.S. Hwy 167 North to Ruston. Turn left onto California Ave. Go 1 mile and turn right onto Tech Drive. The Institute for Micromanufacturing is two blocks on the right at 911 Hergot Ave.
For those coming from an airport, the Institute for Micromanufacturing is reached from either the Shreveport or Monroe airports via Interstate 20 (I-20). Take Exit 84 (Tech Drive), turn south onto Tech Drive. You will go through 3 red lights (1 at the ball fields, 1 just past and under the railroad, and 1 at Barnett Springs Road and the Art Building). Go through the 3rd light and past Hergot Avenue intersection to enter into the parking lot of the Institute for Micromanufacturing on the left. If you reach the next red light at the intersection of Tech Drive and California/Hwy 80, turn around and come back two blocks. IfM is brick with an A-framed, green metal roof. It is located directly across from the Episcopal Church. If you have any questions or are unclear of any directions, please feel free to give us a call (318) 257-5100.